When, where, how did you learn to dive? Diving is my meditation. You are truly in the “moment”. I had always loved swimming but diving was something you saw on TV. My open water course was bought for me as a birthday present about 9 years ago. It took a while to become comfortable underwater but I’m not someone who gives up easily. After the course I did not dive again for about 2 years but my kids grew up and no longer needed me to run them around all weekend so I decided to get back into it and thanks to Chris Cunnold and Wendy Hutchison, who assisted me by letting me tag along with them, I very quickly grew to love the past-time. How did you get into underwater photography? I attended an UEC meeting where Glen Cowan’s gave a presentation and it was like a light bulb went off. I just loved his macro style and knew instantly that I was going to have to learn to take pictures underwater. I purchased an Olympus compact camera 6 years ago that could only be used on underwater setting and went on a trip to Sipadan. WOW – what a fabulous introduction to diving overseas. I was really happy with the pictures I took but very soon realised I needed to take more control. Just before my first trip to Tulamben, I purchased a Canon A 640 and booked a course with Jeff and Dawn Mullins. Here the monster was born but sadly I flooded the camera on my last dive of the trip. I then purchased my Canon G10 and bought a strobe. It was like starting all over again. Since that time I have been lucky enough to dive Poor Knights in NZ, Thailand, Lembeh Strait, Bunaken and Komodo. These days I shoot with an Olympus Pen EPL 3 and twin Sea & Sea YS01 strobes. I love my set-up as it is not large or heavy but allows me to have a range of lenses – 14-42, 60mm macro and 9-18 wide angle – as well as a Zen dome port to be able to shoot a wide range of styles. My favourite is still macro though. My most memorable dive was on my trip to Rapid Bay, in South Australia. Here the Leafy Seadragons live. They are the most magical creatures. I will never forget the feeling when I first saw them floating in front of me. Anything else others may find interesting? Over the last 3 or 4 years you could say I have become entirely obsessed by my hobby. I think about it from first thing in the morning till late at night! I love to dive most weekends all year and now that summer is here hope to be able to dive during the week too. I have met so many great people and made some fantastic friends and with Facebook some of these I have not yet met in person but hope to one day. Facebook is now in most of our lives and I am continually learning from seeing all the great pictures and articles that are posted. 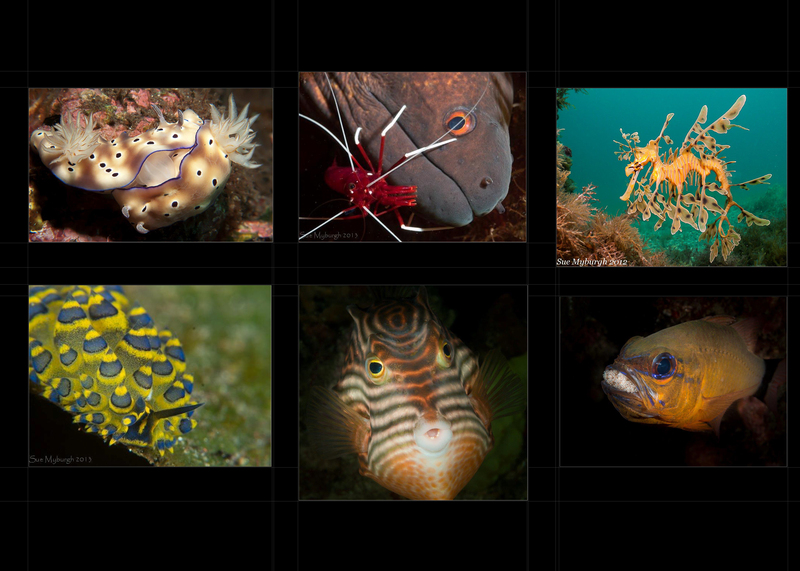 Next year I am going to the 2nd meeting of Macro Underwater Photographers where underwater photographers from around the world will be getting together and I am really looking forward to it.